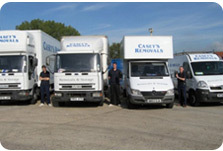 At Casey's we like to think that we provide a service that is personal to you the customer. This includes offering as much advice as possible to help both you and us ensure your move goes as smoothly as possible. Please spend a little time planning your move since it will be well worth it on the moving day. The following guide and checklists will prove helpful. 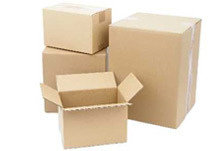 The modern way of packing your home for removals is the use of moving boxes - these have replaced the humble tea chest. 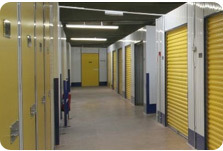 Your boxes are delivered flat packed and can therefore be stored easily until they are required. Whilst not made from wood, cardboard cartons are a lot easier to manage especially now everyone seems to have so many items to pack and are more environmentally friendly. If Casey's have agreed to do the packing, make sure you clarify with us exactly what has been arranged to be packed. This can be anything from packing every last thing to just your glass and china. If we are only packing glass and china you should lay the items out onto a suitable work surface like the dining table. Check with us to see if whether we will be arriving the day before to pack or if we are doing it all on the day. This will depend on the time scale you have to leave your house and the amount of packing involved. If you are doing the packing yourself, begin as early as possible. Make sure that you use suitable boxes that are strong enough (double wall boxes or strong single walled) and large enough to carry your goods (but not to become to heavy when filled). They should allow you to maximise the space inside the box (less trips to the van) and be boxes that are modular (when stacked together they will produce a uniformed level). Always fill the box to the top and then close the lid. This allows the boxes to be stacked on top of each other in the removal van. Never make the boxes so heavy that they cannot be lifted safely. If they are becoming heavy whilst you are packing them, try filling the rest of the box with light bulky items such as linen, towels, cushions or soft toys. Books are the worst offenders when it comes down to weight. Use smaller boxes for these types of items. Always make sure that you use packing tape to fasten the bottom and the top of all your boxes. A general packing tape such as the buff packing tape we sell will be easily suitable for taping up your cartons. For fragile and delicate items printed “fragile” tape is a must. Please do not just fold the flaps of the box and tape along the fold except with relatively lightly filled boxes. If the box is overloaded there is a danger that if the box is picked up with any weight inside, the flaps just unfold and everything falls out.